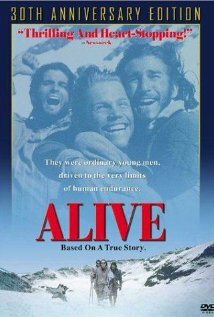 The amazing, true story of a Uruguayan rugby team's plane that crashed in the middle of the Andes mountains, and their immense will to survive and pull through alive, forced to do anything and everything they could to stay alive on meager rations and through the freezing cold. The only thing the team has riding on after losing so many of their good friends and family members is the slim chance of making it through alive and their faithfulness to God. Taglines: The triumph of the human spirit. 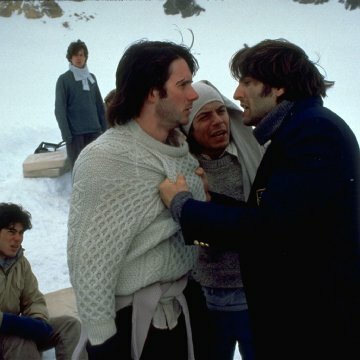 The crash sequence took nine days to film. As the set was mounted on a huge gimbel, most of the cast were taking motion sickness pills as they spent a large amount of time being tossed about. 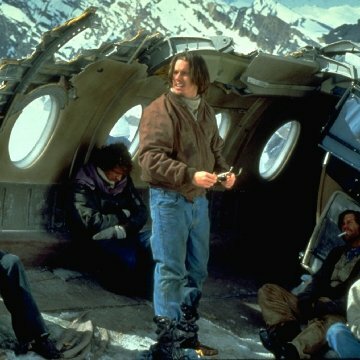 Factual errors: In reality, the plane tail was ripped off by the torn-off right wing which had clipped a mountain peak before. In the movie, it's the tail clipping a mountain peak and then being ripped off. Nando: I'm proud to be a man on a day like this. The best that could have been done. Critics often fault Alive with petty complaints: Gee, wasn't the avalanche a convenient plot device? Why didn't the plane have signal flares? How come the survivors were all those pretty boys? Why don't we see the dramatic search? In doing so, they're faulting reality: The avalanche really did happen when and how it was portrayed. The wreckage really did lack signal flares. The plane really was chartered by a bunch of ruggedly handsome young men -- what else do you expect from a rugby team? And yes, the search was dramatic (the moment when Roberta Cannessa's father learned that his son is alive is one of those stranger-than-fiction moments), but it was enough of a task to compress the survivors' story into a feature film. The search would have comprised another film entirely on its own. How do you compress nearly three months of terror and tedium into less than two hours while still holding the attention of the audience? 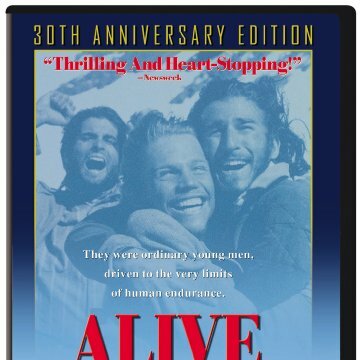 It's a daunting task, and Alive manages quite nicely. With technical consulting provided by crash survivor Nando Parrado, Alive captures the look and mood of the crash site, and sketches in the relationships among the passengers of the ill-fated flight. It leaves many strange questions hanging (Where, in this plane full of mostly unmarried adults, does Nando come up with two tiny red sneakers?) and those questions are best answered by reading the book. And watch Alive again. Things become clearer with multiple viewings.